The world-renowned Cocktail Bar at Belfast’s iconic 5-star Merchant Hotel is taking over one of the top bars at Dubai’s newest nightspot, Soho Garden this weekend. For one night only, the grande dame of the Belfast cocktail scene will take over the beautiful indoor Glasshouse Bar, part of the sprawling 14,000sq metre Soho Garden complex in downtown Dubai, which opened in December 2017. In a case of old world meets new, The Merchant’s world-class cocktails will be served up to hundreds of partygoers at the contemporary venue this Saturday, 28th April. 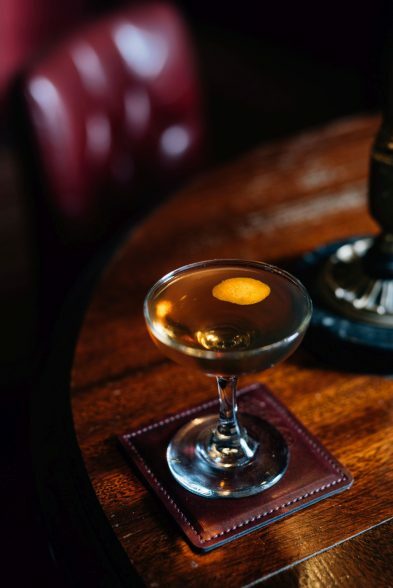 Pictured: The Merchant’s Tipperary cocktail – just one of the drinks that will feature on the menu at Soho Garden. The world-renowned Cocktail Bar at Belfast’s iconic 5-star Merchant Hotel is taking over one of the top bars at Dubai’s newest nightspot, Soho Garden this weekend. For one night only, the grande dame of the Belfast cocktail scene will take over the beautiful indoor Glasshouse Bar, part of the sprawling 14,000sq metre Soho Garden complex in downtown Dubai, which opened in December 2017. In a case of old world meets new, The Merchant’s world-class cocktails will be served up to hundreds of partygoers at the contemporary venue this Saturday, 28th April. 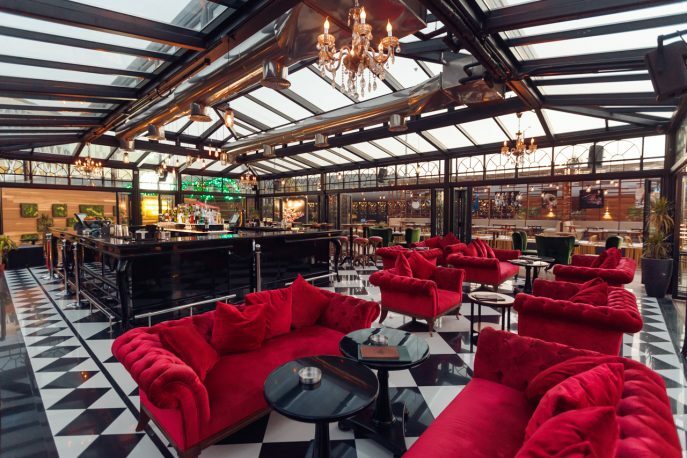 Pictured: The Glasshouse Bar at Soho Garden, Dubai. The world-renowned Cocktail Bar at Belfast’s iconic 5-star Merchant Hotel is taking over one of the top bars at Dubai’s newest nightspot, Soho Garden this weekend. For one night only, the grande dame of the Belfast cocktail scene will take over the beautiful indoor Glasshouse Bar, part of the sprawling 14,000sq metre Soho Garden complex in downtown Dubai, which opened in December 2017. In a case of old world meets new, The Merchant’s world-class cocktails will be served up to hundreds of partygoers at the contemporary venue this Saturday, 28th April. 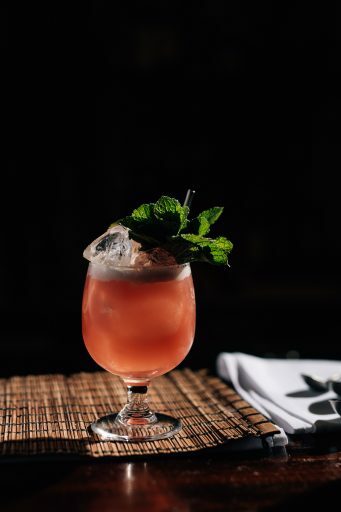 Pictured: The Merchant’s Kon Tiki Ti Punch – just one of the drinks that will feature on the menu at Soho Garden. The world-renowned Cocktail Bar at Belfast’s iconic 5-star Merchant Hotel is taking over one of the top bars at Dubai’s newest nightspot, Soho Garden this weekend. For one night only, the grande dame of the Belfast cocktail scene will take over the beautiful indoor Glasshouse Bar, part of the sprawling 14,000sq metre Soho Garden complex in downtown Dubai, which opened in December 2017. In a case of old world meets new, The Merchant’s world-class cocktails will be served up to hundreds of partygoers at the contemporary venue this Saturday, 28th April. 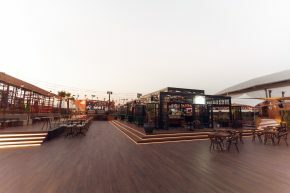 Located within the grounds of Meydan, just 15 minutes from Downtown Dubai, Soho Garden houses internationally acclaimed nightclubs, bars, pools, and an 8,000-capacity live performance concert stage, along with a variety of food and beverage offerings. Supported by a team of international experts that have developed and managed some of the world’s finest hospitality venues, Soho Garden offers an unprecedented level of service with the best live talent, exclusive to the destination in the Middle East. Four bartenders, led by James Maddison, manager of The Merchant’s Cocktail Bar will shake, stir and muddle their way through a carefully curated list of cocktails, including three new cocktails that will feature in The Merchant’s new cocktail book, due for release this summer. Commenting as the preparations step up this week, James Maddison, manager of The Cocktail Bar at The Merchant Hotel said: “We’re excited to bring a taste of The Merchant to Soho Garden, Dubai this week – and particularly to preview some of the new drinks that will feature in our highly anticipated new cocktail book, which will launch in the coming months. 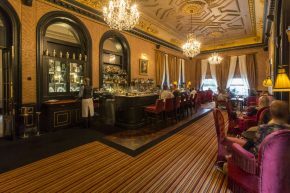 Once home to the world’s most expensive cocktail, The Merchant Cocktail Bar has racked up a serious amount of silverware over the years and is widely considered as the pinnacle of bartending across Ireland. 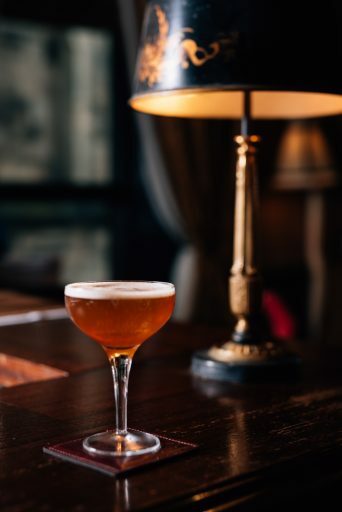 Highly regarded on the international stage, many people that have tended the bar here are now blazing a trail in top cocktail bars right across the globe. Amongst its esteemed alumni is Chris Strong, general manager of Soho Garden who cut his teeth at The Merchant Hotel in Belfast prior to moving to London in 2013 and on to Dubai. Soho Garden has hosted a number of high-profile takeovers, including recent visits from the London Cocktail Club and London-based Tiki bar, Trailer Happiness. The Merchant’s takeover this weekend will be the first takeover event to showcase the classic style of cocktails. Four bartenders from The Merchant Hotel will fly out to Dubai this week for The Merchant’s takeover of The Glasshouse Bar at Soho Garden: Cocktail Bar Manager, James Maddison, Stephen Downie; Lukasz Jackiewicz and Sean Rocks. The Merchant bartenders will serve up a range of classic cocktails including ‘Tipperary’ a lush whiskey based cocktail including Redbreast Lustau, Lustau Vermut, Green Chartreuse, Orange Bitters and Cane Syrup; a gin-based drink called ‘The Sicilian’ featuring Beefeater 24, Campari, Cointreau, Orange Sherbert, Grapefruit Juice, Lemon Juice, Orange Bitters and Cane Syrup and a classic Dark & Stormy made with Gosling Black Seal Rum, Velvet Falernum, Ginger Extract, Lime Juice and Cane Syrup. A full drinks menu is available on request. Soho Garden is located within the grounds of Meydan, just 15 minutes from Downtown Dubai, the 14,000 square metre project, presents a dining and nightlife entertainment experience like no other. A cosmopolitan enclave, the venue houses internationally acclaimed nightclubs, bars, pools, and a 8,000 capacity live performance concert stage, along with a variety of food and beverage offerings. The location redefines the leisure experience in Dubai, providing exclusive doorstep access to exciting restaurants and entertainment, as well as unsurpassed pool club experience, with definitive signature service. The design offers a unique mix of eclectic luxury, with laidback chic, creating a buzzing urban scene inspired by the international cultural melting pots of London and New York. A standalone playground of discovery with a seating capacity of 800, this secluded division of Soho Garden offers a diverse mix of bars, transitioning guests effortlessly from day to night, providing something different with every visit. Four bars and a daytime pool area surrounded with lush foliage, will leave revellers spoilt for choice, from the beautiful indoor Glasshouse Bar, the exquisite Bellini Bar, the fun and flirty Tiki Bar, to the cool and chic Negroni Bar. 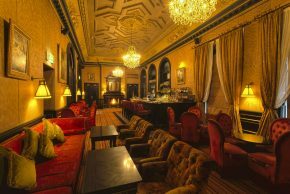 Guests are able to move freely throughout the eclectic setting, enjoying a truly enlivened atmosphere.